Be inspired to move toward a healthy, natural, more vibrant lifestyle every Wednesday! 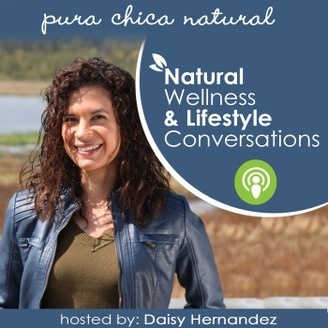 If you're a woman wanting to embrace what's innately within you, feel free from self-imposed limitations, and looking for a more natural and vibrant way of life, tune into your host Daisy Hernandez as she connects with fearless health seekers and today's wellness pros. With a dash of latina flavour, Daisy gives the spotlight to her guests as they discuss their journey as a health seeker and entrepreneur making a difference. Every episode starts with a past challenge from our guest, moving onto their 80/20 balance, key points they themselves want you to know for you to take on this path with excitement, and concludes with The ChaCha Round - a quick round of Q and A! Listen and subscribe. 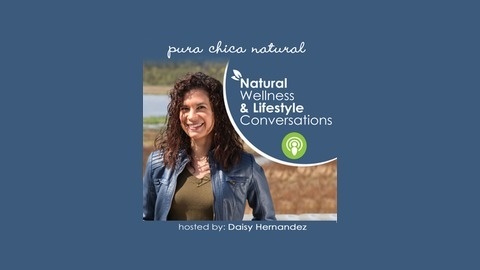 Visit www.PuraChicaNatural.com/NaturalWellnessPodcast to learn more and sign up for up-to-date information. 23: Hopes & Dreams - When is the Best Time to Act On Them? Have you ever wondered why your hopes and dreams, stay hopes and dreams? You work hard enough to see them come to life but do they ever? When is the best time to act and what can cause you to hold back from moving forward?